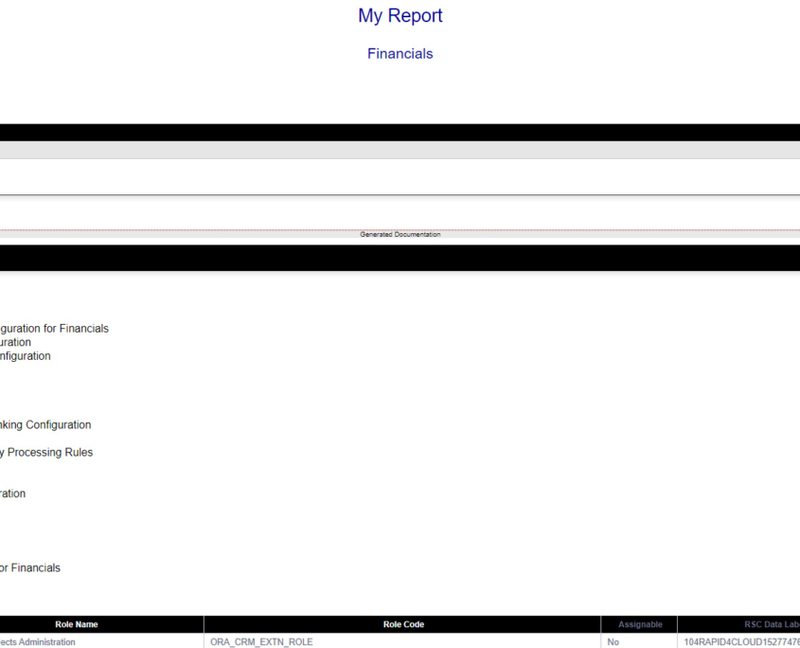 Reports for Oracle ERP Cloud. 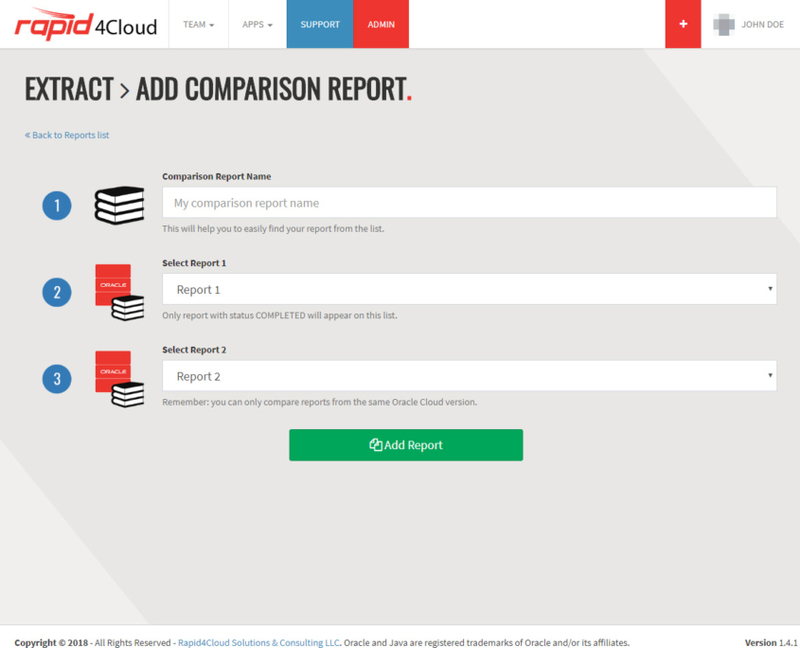 Setup listing and comparison reports fully automated for your Oracle ERP Cloud. Keeping documentation up to date during a project is time consuming and usually inaccurate. Starting a new project where there is an existing Oracle Instance and no documentation is very difficult. 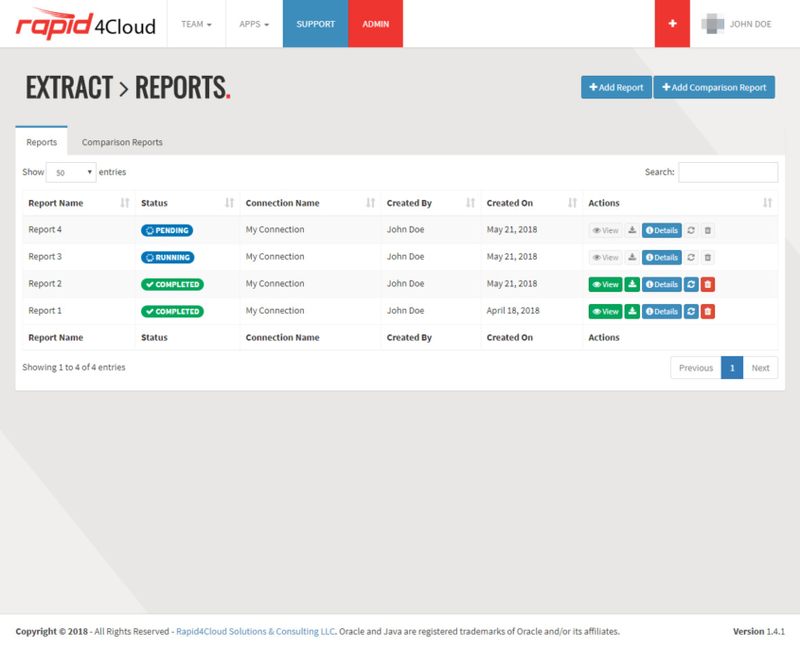 All of that changes with Report from Rapid4Cloud, setup your connection to the Oracle instance, select the module(s) and business unit(s) needed and within a few minutes you will have an up to date setup listing in a BR100 style format in a downloadable HTML and EXCEL format. The excel sheets can be used to update the Oracle instance with changes. 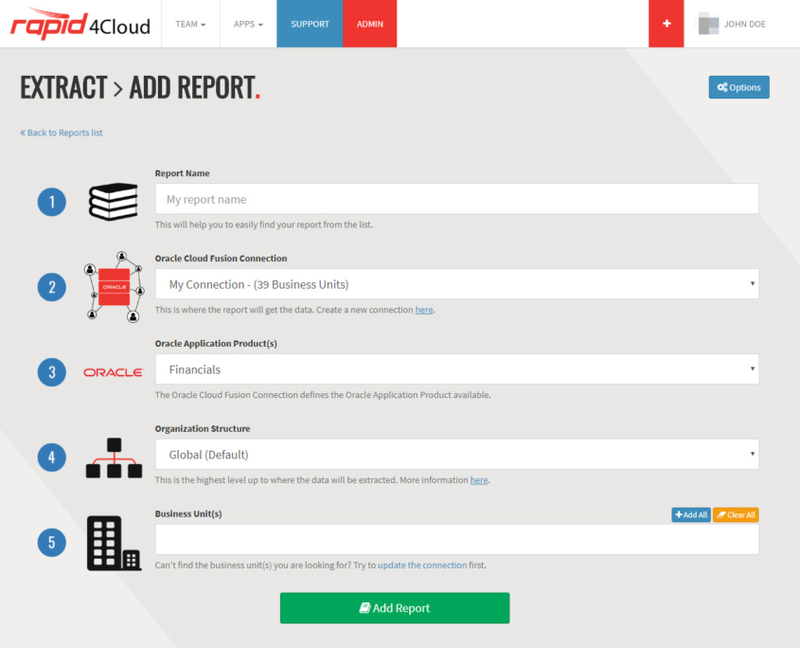 Get a list of your Oracle Fusion Setups is very easy with Reports from Rapid4Cloud. Check out the video to learn how it is done. 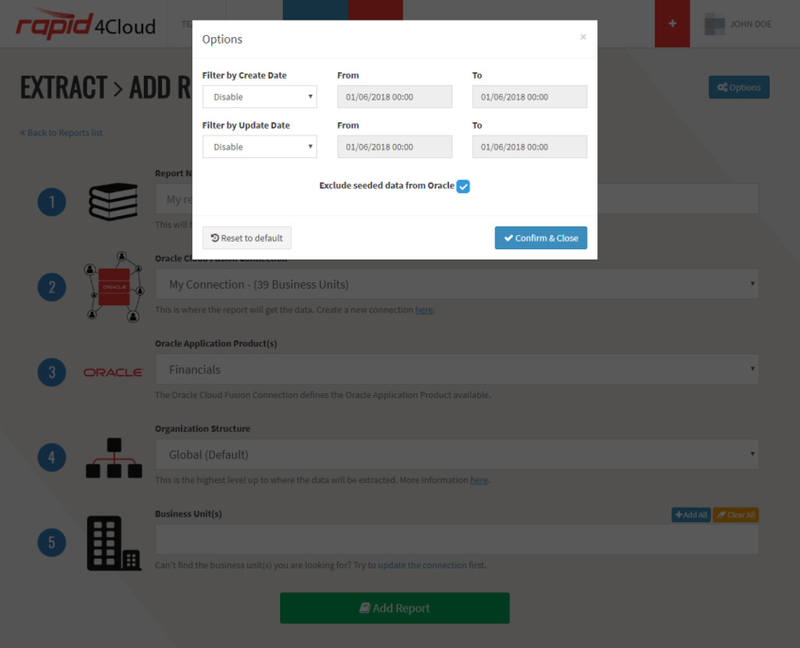 Select an Oracle instance, set your report parameters and let it run. The whole process only takes few clicks. Once your report is ready, you will get a link to see it online or you can download it directly to your computer. Provide the details of what instance, modules and business units that are needed. 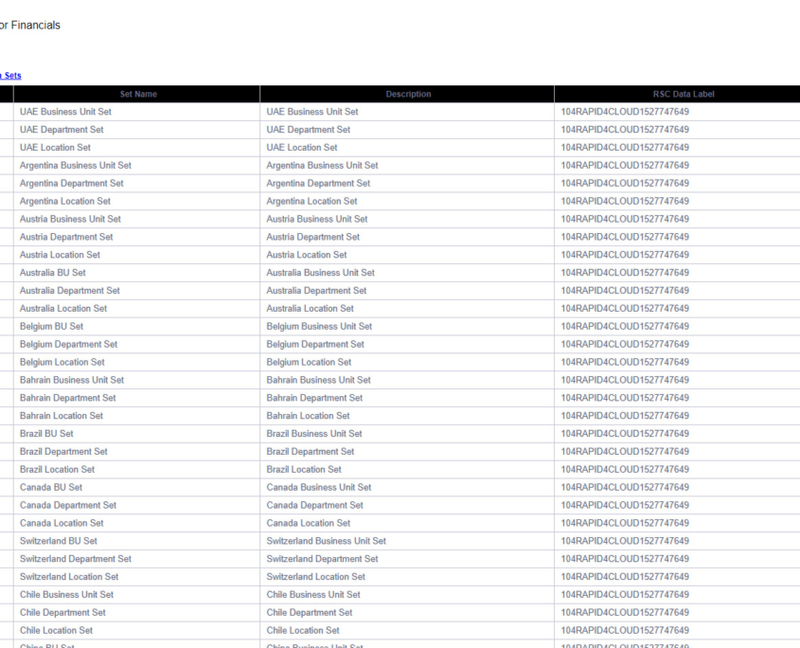 Options also exist to filter data reported by the creation date or updated date. These two dates allow you for example to show all the changes that occurred to an instance over the weekend. Your Oracle Setups report, or BR100, is ready. Click on “VIEW” to load it from your browser or “DOWNLOAD” to keep a local copy on your machine. The report is stored on a private storage disk on the cloud, and the connection is encrypted. Design of the report has been made by our Oracle consultants, making it clear and straight forward to read. 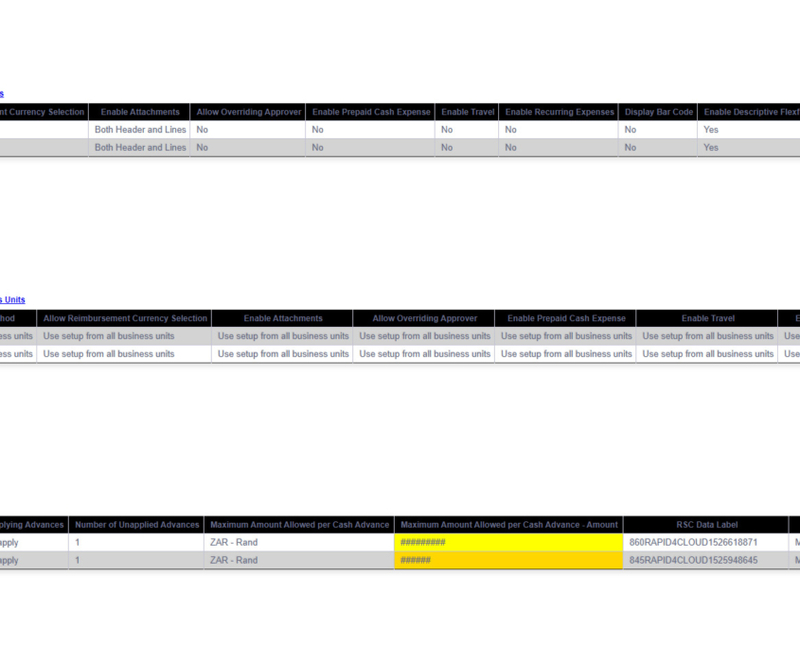 Compares the reports from two instance and highlights the differences in color for quick location and resolution. Very easy to select the two reports for comparison. They do not need to be from the same instance or same time-frame, but they do need to be from the same release version. Want to find out how easy it is?